At an impressive 6,476m (21,247’) Mera Peak is the highest trekking peak in Nepal. Located on the edge of the famous Khumbu region, steeped in mountaineering history, Mera Peak was first climbed in 1953 by Jimmy Roberts. At Earth’s Edge we like to take the less travelled route to Mera Peak Base Camp. After an exciting flight to Lukla, we head south to the remote region of the Hinku Valley passing through Pangkongma and Nashing Dingma villages. 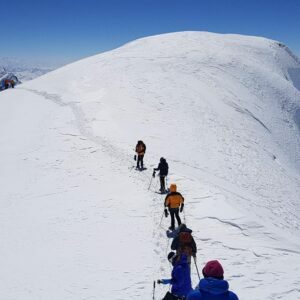 This takes us around, rather than over the Zatrwa La Pass (4,630m) which has a big impact on acclimatisation when it comes to climbing Mera Peak. 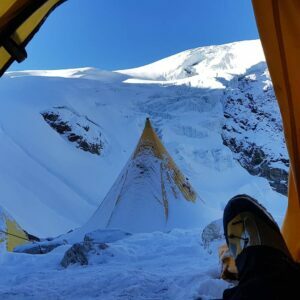 Once reached, Mera Peak is technically straightforward, the main challenges being proper acclimatisation, weather and snow conditions. 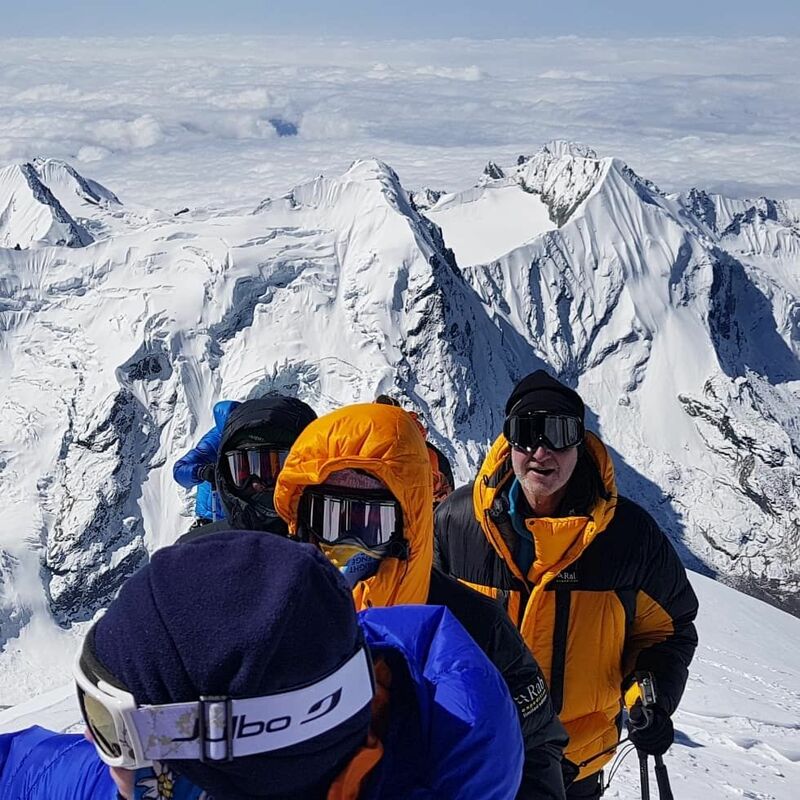 Poor snow conditions can make the summit day very challenging but the view from the summit is one of the best in all the Himalayas. On a clear day hundreds of giant peaks can be seen including five of the world’s six highest peaks, Everest, Lhotse, Cho Oyu, Makalu and Kangchenjunga. Mera Peak is ideal for those with a good level of fitness, a keen sense of adventure and a desire to summit a 6,000m peak! Previous experience on mountains above 5,000m is essential.